Sossusvlei is a perfect specimen of Nambia’s unspoilt desert beauty. It is a salt and clay pan situated in the largest conservation area in Africa, the Namib-Naukluft National Park. This photogenic area is famous for its large, red sand dunes, which are some of the tallest sand dunes in the world and is one of Namibia’s most visited attractions. 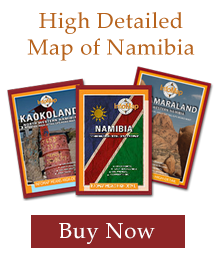 The word Sossusvlei originates from two languages, Nama and Afrikaans. It literally translates to “dead-end” (from the Nama word “Sossus”) “marsh” (from the Afrikaans word “Vlei”). Strictly, Sossusvlei refers specifically to the salt and clay pan at the end of the Tsauchab River’s course; however, often the entire area including Dune 45, Deadvlei and Hiddenvlei is referred to as Sossusvlei. At Sossusvlei, the dunes meet preventing the Tsauchab River to flow any further, hence its name meaning “dead-end marsh”. Namibia is very dry and the Tsauchab River seldom flows as far as the pan. However, following an exceptional rainy season in the Naukluft Mountains the pan is filled and appears as a lake, drawing visitors from all over the world to witness this remarkable site. The characteristic red dunes of the Namib Desert have developed over many millions of years. The red sand that forms the dunes was deposited into the Atlantic Ocean from the Orange River. The Benguela current then carried this sand northwards, to be deposited back onto the land by the ocean’s surf. From here the wind carried the red sand inland to form the dunes over time. The sand dunes in the Namib are dynamic and change shape with the wind. The dunes around the Sossusvlei area are known as “star dunes” due to the wind shaping them from all directions. 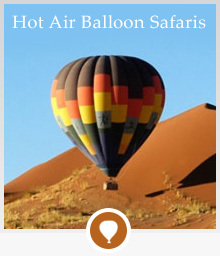 Enquire now to visit one of Namibia’s most beautiful, natural wonders.